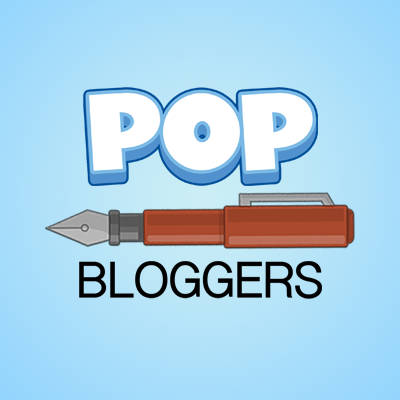 This category features updates that occur on the PTFP and, occasionally, on other blogs. It will also include any extra information! Hiya, Silver Wolf here. It’s been a long time! 9 months, in fact. I wanted to address some things about the PTFP and its future. Yes, it’s true, it’s been inactive for a long time now, but that doesn’t mean that I’ve forgotten about it, or that it’s any less important to me. The PTFP will always hold a special place in my heart, which is why I felt like I had to make this post. This is definitely going to be more personal, open, and unedited than most posts in the past. Firstly, I wanted to explain why the PTFP has gone inactive. Honestly, the biggest factor is that I simply don’t have the time to keep it updated. This year is my senior year of high school, and to me, school comes before almost anything else. And let me tell you: senior year is hectic. I’ve been starting homework and college/scholarship stuff at 5 pm everyday (I get home at 4:00-4:30 most days), only to stay up until 12 am. Then, after doing this for 5 days a week, thinking “At least it’s the weekend!” to only spend my entire weekend doing more homework and college stuff. I haven’t even had time to play my favorite game in 2 weeks, which I would play everyday if I could. But, I’m not asking for pity; to me, school, despite the stress, is completely worth it. I just wanted to give the biggest context as to why I still love the PTFP but don’t post. Again, I want to be honest. The second reason that I’ve stopped posting is that my interest in Poptropica has lessened. I’ve been more invested in Overwatch for awhile now, but I still love Poptropica dearly. Sometimes, I do really want to play Poptropica, and sometimes I do have an urge to post (like I do now), but those thoughts aren’t near as common as they used to be, and I almost always don’t have the time. So this brings up the question: what’s going to happen to the PTFP? I don’t know. I’m never going to delete it, but I’m not sure if I’ll post again. I could post a week from now if I felt like it, or this could be it. It depends. Plus, I’m thinking of starting a personal blog soon just for talking about my interests, school, and life in general. The posts on it probably won’t be consistent, either, but that’s the beauty of a personal blog: it doesn’t have to be. Either way, I will still be active on Discord. I mainly use the app on my phone now, so I will almost never have the green dot showing that I’m online, but I go on it on a daily basis. You can always direct message me or @ me, and I’ll respond. Why am I posting now after all these months? Well, it’s the PTFP’s 6th birthday! Woot woot! I decided, as per usual, I will still talk about some of the statistics of the blog and give a little speech (although this whole post has basically been a speech). I don’t want this post to be sad. It’s just…a transition in my life and the PTFP. So, I’ll do some overviews. In 2012, we had 469 views. Admittedly, this blog was created in December, so there wasn’t much time there. In 2013, we got 69,066 views. To this day, 2013 was the biggest year for the PTFP. 2014 got 60,609; 2015 got 54,187; 2016 got 64,359; and 2017 got 57,821. This year? 40,343 views. That’s amazing. It’s less than it’s been in the past, but it’s still heartwarming to see that people still view and enjoy the PTFP. A lot of work has gone into it, and I’ll never forget that. Our top 10 countries this year: the United States with 33.3k views, Australia with 1.6k views, Canada with 1.6k views, the UK with 472 views, New Zealand with 321 views, India with 277 views, Brazil with 259 views, the Philippines with 257 views, Hong Kong SAR China with 178 views, and China with 164 views. Interestingly enough, we also have 21 countries with just 1 view each this year. And, of course, we’re almost at 350,000 views, which is a huge milestone. I never thought the PTFP would ever get this big. I just created it 6 years ago because I thought it was cool. I had no idea how important the PTFP would become to me. Specifically, I want to thank all my friends who have stuck with me through everything. Spotted Dragon, Brave Sky, Rue, Obi, Jason, Nick, and Jord, you guys are are so amazing. And everyone who has worked on the blog with me, you guys are, too. I’m not sure where I would be today if I hadn’t met all of you. Well, I suppose that’s it. Some final recaps…the future of the PTFP is unknown, although it will definitely not be deleted. I still love it and all that it has become. I will still be active in the community (specifically Discord). And a big thank you to everyone. I know what you’re thinking…wasn’t this series dead?! No…well, maybe… Anyway, it’s back! This week’s mashup was suggested by Purple Claw on the last Mashup Mondays about Supernatural. If you don’t know what MLP stands for, this post is about My Little Pony: Friendship is Magic. Also, happy Memorial Day! Even though these are only their MLP examples, these artists have plenty of Poptropica art, too. Also, click the images to see their links and their full size! It’s been awhile, but another Mashup Mondays is here! This time it’s on one of my personal favorite TV shows: Supernatural. Although, it’s rated TV-14, so make sure to get your parents permission first to watch it! Along with this post, I’m hoping to make a news one and maybe another random one soon. 😉 Also, there are some creature spoilers. To the left is a motivational poster made by 1313cookie (better known as Brave Tomato) on DeviantArt. Make sure to read the description or else you might not get the reference! To the right is Castiel, a character from Supernatural, on the Poptropica Fashion Wiki. Pretty good if I say so myself! #124 – Guessed by Bendy Flyer! 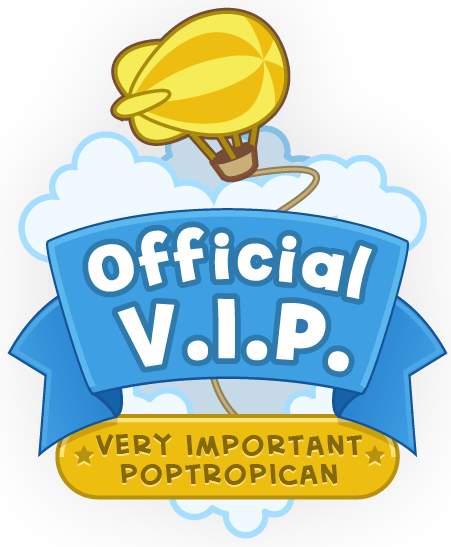 Make sure to read all the rules, and if you guess correctly, you are emailed my Poptropican’s username and you get put on the Hall of Fame page! Pretty cool. You can also see (almost) all the Snapshots ever guessed on the Previous Snapshots! page. Poptropica, as always, wanted to send a happy holidays to all you Poptropicans out there! Despite in my last post saying the Creators didn’t seem that busy, Skinny Moon and Captain Crawfish have made a post about how there would be an update next week. “Very interesting,” they called it. Perhaps updates on the New Poptropica? I won’t get my hopes up, but it’s still a possibility that it could be a holiday present for us. Speaking of holidays, exactly what holidays are there nearby?